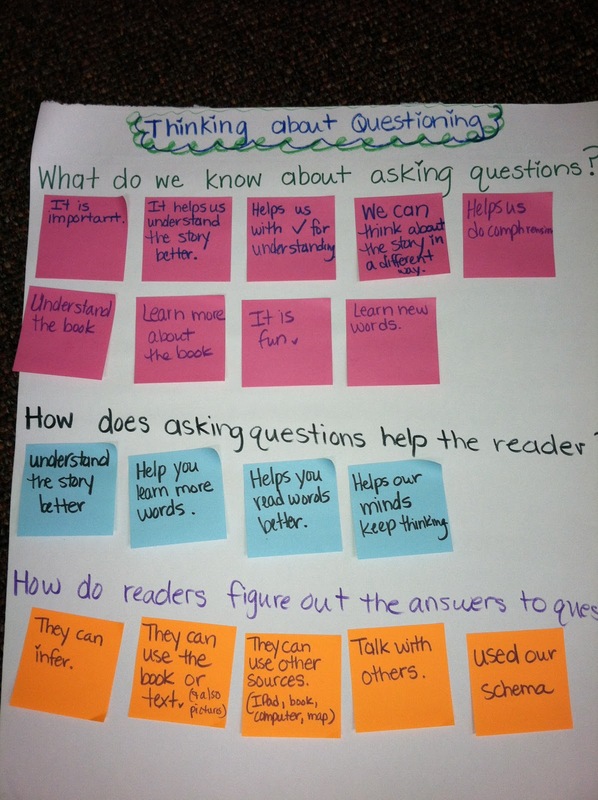 Follow First Grade: What Do You Think About Questions? Today I asked my first grade friends a few questions about asking questions as you are reading. Take a peek at their thoughts (on the post-its). Way to Go Super Stars!! !